Arrived for duty to assume responsibility as the first sergeant for the U.S. Army State College Recruiting Company, State College, Penn. Munoz is the husband of Antoinettte R. Munoz of State College. He is a 1992 graduate of Cholla Magnet High School in Tucson. Was selected for promotion to the rank of major in the Air Force. Roth is currently serving as advanced extremely high frequency spacecraft chief with the Military Satellite Communications Systems Directorate, Los Angeles Air Force Base and has served in the military for nine years. 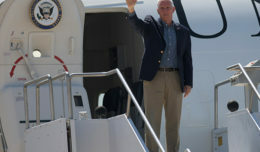 Roth is the son of Franklin Roth of Oro Valley, Arizona, and a 2001 graduate of Westhill High School, Stamford, Conn. He earned a bachelor’s degree in 2007 from U.S. Air Force Academy, Colorado Springs, Colo. Graduated from basic military training at Joint Base San Antonio-Lackland, San Antonio, Texas. 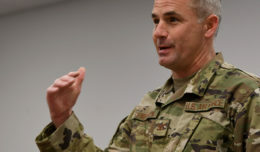 The Airman completed an intensive, eight-week program that included training in military discipline and studies, Air Force core values, physical fitness, and basic warfare principles and skills. 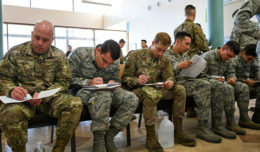 Airmen who complete basic training also earn four credits toward an associate in applied science degree through the Community College of the Air Force. Scharer is the son of Stuart and Jane Scharer of Marana, Arizona, and a 2014 graduate of Marana High School. Graduated from basic military training at Joint Base San Antonio-Lackland, San Antonio. The Airman completed an intensive, eight-week program that included training in military discipline and studies, Air Force core values, physical fitness, and basic warfare principles and skills. Roberts is the daughter of Patrick A. Roberts of Marana and is a 2016 graduate of Marana High School.